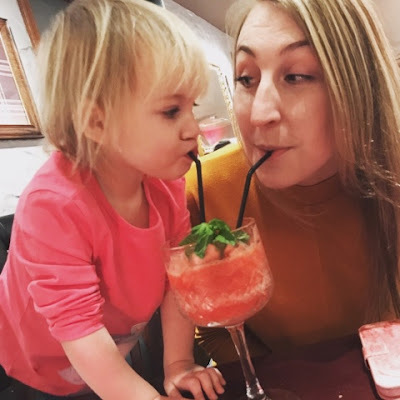 Eating out as a family can sometimes be a struggle, especially if your kids are wild like mine, so I’ve put together a little list of some nice family friendly places to eat here in Fife. Hopefully it’ll give you the courage to eat out a bit more with the kids knowing no one’s going to bat an eyelid if they start acting up. So read on to see what places I’ve selected. This lovely Chinese buffet is a big favourite of Logan’s. Based in Glenrothes at Bankhead Park (quite close to the huge round about and near the petrol station) it’s open 12-4pm for lunch and 5pm-9.30pm for dinner. It has a massive selection of food and plenty that the kids will eat. Logan loves chicken and they have it in many different forms here so he’s a happy camper. Harlow’s a bit more of a fuss pot but she loves noodles, rice prawn crackers and of course chips so that keeps her happy and quiet. 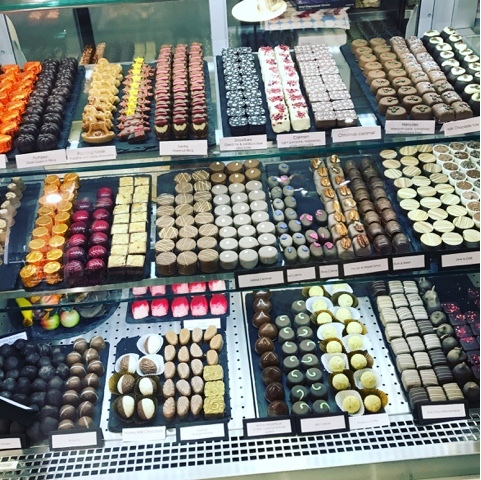 They also have a fab selection of puddings to choose from including a chocolate fountain with marshmallows and strawberries to dip as well as ice cream, cakes and fruit. It really is a great place to go and kids are very welcome. It’s so popular that it can get quite busy so I’d advise you phone and book in advanced of your visit. You wouldn’t want to be disappointed and not get seated. It is a little pricey but well worth it and they can accommodate large numbers so great if you wan to celebrate the kids birthday here. If you’re looking for somewhere to enjoy a quick spot of lunch with the tiny tots then Peacock Café is for you. It’s situated inside Pittencrieff Park right next to the Glen Pavilion so you can enjoy the grounds and play parks after some food. It’s open 10am to 4pm and provides a good selection of snacks, lunch options and drinks for adults and kids. It’s also has a little soft play inside so the kids can eat and enjoy some play time fun whilst you relax with a hot cuppa. Prices in here are reasonable and on nice days you can sit outside on the balcony tables over looking the park. The famous fish bar in Anstruther is amazingly child friendly. They have high chairs, child suitable menu options (with child prices) and the drinks they bring for children are in cute little paper cups with a lid and straw – amazing. It’s the little things that count. I can’t tell you the amount of times my kids have spilt a drink every time we go out to eat. I always wait for it to happen! The food in here is super fresh and super tasty so definitely go for a visit at some point. They also have lots of tasty ice cream and sweeties for afterwards with penny mixture bags to buy as well. That takes me back to my childhood. The fish bar is open 11.30am to 9.30pm every day so there’s no excuse not to pop along. This recently refurbished Kirklands hotel has lovely places for eating in including their very relaxed bar/café at the front of the hotel and a beautifully large dining room at the back. A lovely young couple own this hotel and they have twins themselves so they know all about being child friendly. As well as providing the usual high chairs they also have toys and child friendly options on their menus. I’ve been here quite a few times with Harlow for a spot of lunch with friends and I also booked a table in the dining room for my father-in-law’s birthday with kids in tow. The prices are reasonable and the food is super tasty. I especially love their mac and cheese and the great thing is you can ask for a small portion if you’re not that hungry. You can do this with a few options on the menu. Great for the kids if they want what you’re having and you don’t want to share haha. We visited Dine at 29 for the first time back in January for Harlow’s 3rd Birthday. Since she wasn’t having a party we thought a special meal out for her would be a great substitute. The people at Dine at 29 couldn’t have been any more accommodating for us and the kids. They let us choose a comfy corner table (so I could keep the kids out of everyone else’s way) and they also took the cake I had made for Harlow and brought it out after the meal with big candles and sparkles on it. Needless to say she loved every minute. The fab thing about Dine at 29 is kids can eat free!! 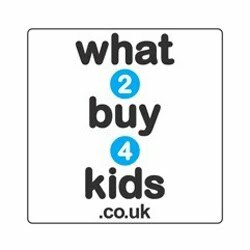 Totally brilliant and there’s a great variety of options for the kids to choose from. They get their own special menu which has a colouring sheet on the back and some crayons are provided to keep them busy until food arrives. Opening times are 5pm-9pm Monday to Thursday and 12pm-10pm Friday to Sunday so you could always do a cheeky lunch at the weekend. Also they do some amazing cocktails, alcohol free ones too so the kids can join in. Another Chinese restaurant on the list but this one isn’t a buffet. It’s a small venue on Cowdenbeath High Street but it’s excellent value for money. They also do takeaways if you don’t want to sit it. The people who own it are lovely and honestly can’t help you enough. We’ve ordered takeaway loads but had our first sit down meal for Christmas last year. They were great with the kids and didn’t mind them running around or getting excited at all. The food’s yummy and they have lots of different meals to choose from. It’s perfect for an impromptu treat with the kids. It’s open from 4.30pm every day but closed on a Tuesday. 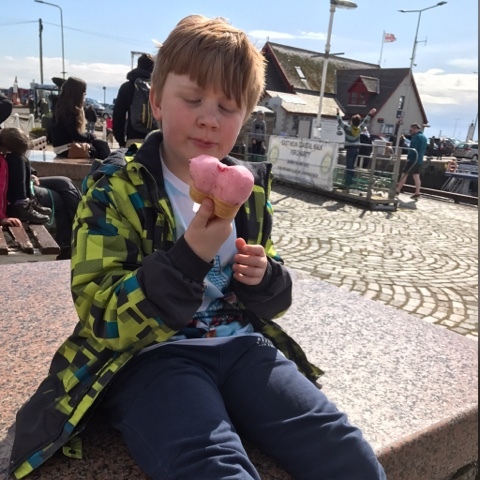 A lovely family run café and shop on the edges of Loch Leven it’s the perfect place to take the kids for a cuppa and cake. They’re open 9am to 5.30pm every day and you’ll find some amazing goodies in their shop. If you want an unusually fabulous gift then it’s worth checking out. The Larder Café is lovely providing breakfast, lunch and meals throughout the day with a separate children’s menu and they newly built Greenhouse Café supplies a wealth of tea, coffee, cakes, paninis etc. I’ve never been to the café since it opened a few months ago but I really must take Harlow along for a visit when Logan’s at school. I like it that the larder use a lot of local suppliers and they have a little play park on site as well as outdoor pods you can book for a nice lunch. I can see myself booking an afternoon tea here soon for my birthday as having a pod will keep them contained. Loch Leven’s Larder is also very breastfeeding friendly, I’ve tried it myself and the staff were lovely. You can also take your dog as they allow up to 4 well behaved dogs in the Larder café and 2 in the Greenhouse café so it really is an inclusive venue. I’m sure there’s even more fab family friendly venues out there in Fife and if you have any you know of then please shared as I’d love to try somewhere new. 0 comments on "Family friendly places to eat in Fife"